David Wachman’s lightning-fast 2-year-old of last season Requinto has been retired from racing and will join the Coolmore roster for 2013. 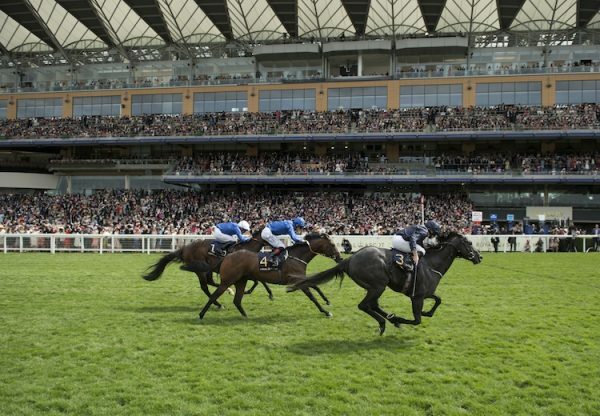 Arguably Dansili’s most precocious son, Requinto is out of the equally speedy Damson, a three-length winner of the Group 2 Queen Mary Stakes at Royal Ascot before defeating the colts to land the Group 1 Phoenix Stakes. “Requinto is a very good looking individual, he had speed to burn and, unlike many in this bracket, he also has a pedigree. We think he’s ideal for the commercial market” said Coolmore’s Eddie Fitzpatrick. Also new at Coolmore for 2013 are Saturday’s brilliant Queen Elizabeth II Stakes winner Excelebration, High Chaparral’s ten-time Group 1 winner So You Think along with Power, the only son of Oasis Dream to win at Group 1 level at both 2 and 3 years. Returning from Ashford Stud in Kentucky is Kingmambo’s brilliant son Henrythenavigator whose impressive first crop includes Group 1 Phoenix Stakes winner Pedro The Great.